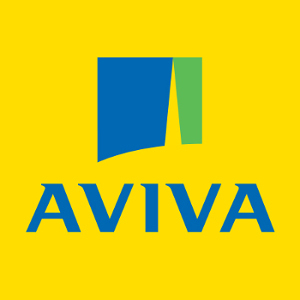 Aviva is the UK’s largest insurer and one of the leading life insurance providers in Europe. Founded back in 1833, the firm now insures 2.7 million lives in the UK and has used its 300 years of financial experience to grow a global business that serves 31 million customers throughout 15 countries worldwide. Get a quote for Aviva life insurance using specialist comparison site Activequote.com. Use it to compare prices and policies from different companies and get free advice. According to Aviva, if you placed all the cars it repairs for UK customers each year end to end, the line would stretch from London to Edinburgh yet it is life insurance that dominates its business. In 2013, it paid out £1.4m per day in life insurance and critical illness claims. You can get a quote for Aviva life insurance at Activequote.com or learn more with our guide to the best life insurance companies. Premiums start from £5 a month and it only takes a couple of minutes to get a simple quote online at Activequote.com. Aviva has its own free, easy-to-use life insurance calculator that can help you decide how much life insurance cover you need. How much does life insurance from Aviva cost? Life insurance costs vary drastically according to your personal circumstances. Monthly life insurance premiums for a 50-year-old male smoker, for example, will differ greatly from how much a 30-year-old female non-smoker would need to pay for the same life cover. To truly compare the cost of life insurance, it’s a good idea to go compare quotes from as many providers as possible, taking care to always compare like-for-like when it comes to policy details, the amount of cover and how long you will be insured for. To help you start comparing life insurance providers, however, we used the scenario below to generate an example monthly cost for straightforward level-term life insurance with Aviva. Founded in 1833, Aviva is a well-known, established brand with plenty of experience in handling claims and serving customers. Whilst big isn’t always best, it can sometimes be reassuring to deal with experienced providers. As well as the cost, it’s vital to consider the likelihood of actually receiving a payout if the worst happens and you find yourself claiming against a life insurance policy. Horror stories in which families find themselves unable to claim due to unforeseen small print, an exclusion they were unaware of or some other mis-understanding are unfortunately all too common. It makes sense, therefore, to look at what percentage of claims were paid out by a firm and use this information – and any customer satisfaction statistics – alongside cost when comparing providers. In Aviva’s case, they pay out on 99% of life insurance claims, which compares well with other providers. According to independent financial research firm Defaqto, Aviva is providing a good level of service; both its simplified life insurance and term assurance receive 5 stars. Just taken out Aviva life insurance for maga.. so at least my family are well compensated. Premiums are so cheap when you're only 22..
Aviva invites its customers to rate and review its life insurance service online. Of the 168 reviews submitted to date, customers rate Aviva 4.5/5. How does Aviva life insurance compare to other life insurance policies? As we explained above, life insurance costs do vary substantially according to your individual circumstances, however, to give you an idea of how different providers stack up against each other, we’ve put together a simple comparison using the same details to generate each quote.